Born and raised in the Chicago suburbs, Taylor discovered her passion for Jesus and ministry while attending Eastern Illinois University, where she was involved in a campus ministry called Cru. 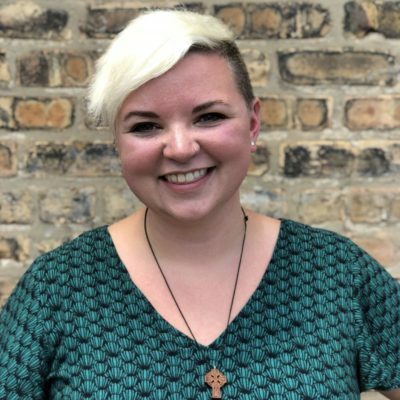 After graduating with a degree in history, she worked for Cru before falling in love with the city of Chicago, its people, and the vision of Cornerstone to seek the lost and see lives transformed by the gospel. Her passion is to show others, especially college students, the freedom and joy of pursing Jesus and finding our identities in him in every season of life. When not working with UIC students, you can find Taylor playing video games, debating about Star Wars and Marvel movies, reading somewhere in Bridgeport, and salsa dancing.